The future is not ours to control – it is God’s. 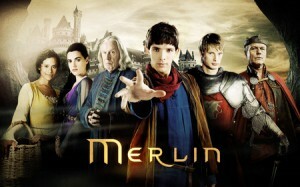 We are watching BBC’s Merlin as a family and there is really some pretty deep stuff in it. I found it interesting that, in trying to prevent a horrible future, the characters often made choices that they would not have made if they had never seen a glimpse of a future that could come to pass. Morgana was told that Emrys was both her destiny and her doom. Naturally she felt a sense of foreboding, but she also somehow got the idea that she could prevent this fate. She thus set out on a desperate quest to kill Emrys before he killed her. She made decisions and set certain things into motion, not always favorable, by trying to control the future. And she allowed herself to become filled with hatred for a man whose identity she did not even know. That was where Morgana went wrong. She went all “bad girl” and Merlin (who was Emrys), being a good fellow, opposed her when he never would have done so before. She became consumed with avoiding her destiny and in doing so brought doom upon herself, just as the prophecy had foretold. I sometimes wonder why we try so hard to be in control of things. Perhaps it is a need to feel safe and secure, to make sure that we will be okay, that compels us. The truth is, however, that the future is in God’s hands, and His alone. Sometimes we try to make things go one way, but, in the end, all things follow God’s plan. The created can’t help but answer to the Creator, no matter how hard they try to resist it. We cannot control the future. I do not say this to give a sense of futility or hopelessness. Rather, this should be comforting, because God is good and He is in control. Understand what I mean by saying we have no control over the future. The outcome of things is in God’s hands and always has been. Although He has given us choices, He wants us to choose Him. When my family moved to Kenya, we purchased two rosebushes – or sticks, rather, because that is what they looked like. One was yellow and one was a deep pink color. It took time before they looked like much of anything (and I believe they would look even better if they weren’t living in pots). For several months they maintained their stick-like mien, but after a while they grew leaves and began to branch out. The best part, however, is their blooms. I said I bought a yellow rose bush and a pink rose bush. That was true – when I bought them. To me, that is the most fascinating part. I don’t know what other people’s roses do, but every season, mine always bloom a different color. My yellow rose turned “striped” this year – hot pink, orange, and yellow, all blended together in one luscious flower. My pink rose had pale lavender-colored blooms. 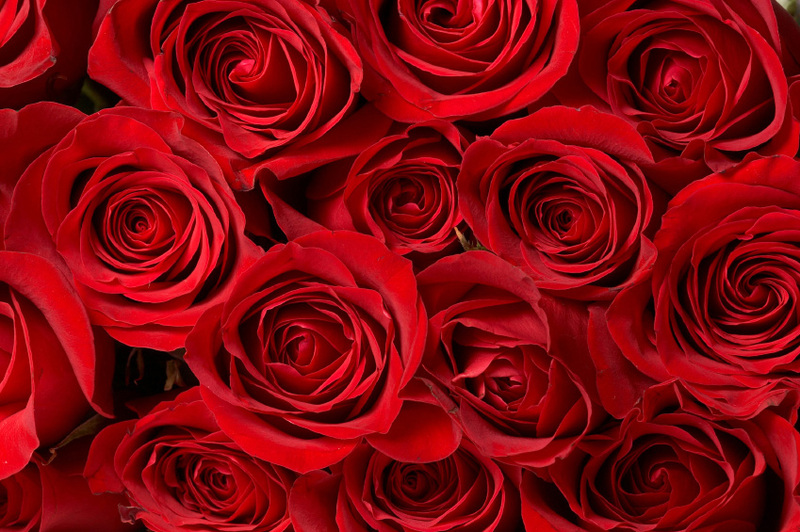 When my family lived in Michigan, I had about half a dozen rosebushes that I carefully tended. Gardening isn’t usually my favorite task, but I loved my rose garden. I had one particularly lovely lilac-colored rosebush. One year, however, it didn’t survive the harsh Michigan winter. Come spring, my mom and I dug up what appeared to be a small dead stump with a few straggly roots. At my insistence that it could still “make it” (I seem to have a lot of faith for plants), we put it into a shallow pot of water mixed with rose food and let it sit in the garage. After a good week or so, it was showing signs of – that’s right – life. Oh, how I rejoiced! I promptly went out back and dug a new hole for it near my other roses. Weeks passed and it continued to thrive. Then came the first bud. I watch the buds on my roses closely, wanting to see the moment they open up to share their beauty and fragrance with the world. The bud opened, but it was no longer lilac in color – it was a brilliant shade of sunshine-yellow. When we thought the rose was dead, we were right – in part. You see, the rose was a hybrid, and during the winter, the fragile strain had died, leaving in its place only the variety of rose that was strong enough to survive. John 15 is a beautiful Scripture passage. Jesus makes our task very clear: we are to bear fruit (or produce blooms!) We are tender plants, firmly anchored in Christ, and God is our Gardener. Sometimes, though, we like to pretend that we are our own care-takers. In that role we are always quite lenient with our pruning because we hope to avoid pain and discomfort. Because of this, we cling to things that are dead – things that only serve to sap our strength. Like the blooms of roses, there is always a certain fragility and transiency about our “blooms.” We keep them for a time, but at some point we usually have to let them go in order to make room for the new ones to grow. Some seasons are growing seasons and some are blooming seasons. And some seasons are bare seasons – seasons in which we are cut back until we think we can take no more. But our Good Gardener knows just how much He needs to prune us to make us come back more beautiful than before. A rosebush that is never pruned or never goes through a cold season will look nice for awhile but will eventually wither away because it needs those hardships in order to be rid of the weak, nutrient-sapping branches and blooms that have outlived their time. Our Gardener is caring for us, rejoicing over each bloom and mourning over each season of hardship and pruning but knowing that His tender ministrations will bring about greater beauty and abundance. You may be in a winter season now, but springtime is coming; the Love-light of our Gardener will cause you to flourish even as His gentle rain nourishes your spirit. So bloom on, little roses; bloom on and take heart knowing that your Gardener is caring for you. There it is. The verse nearly every Christian can quote from memory and perhaps the most well-known verse in the Bible. I probably didn’t even need the reference. In fact, as you read the first few words of the verse, you may have even glossed over the rest because you already knew what it said. As for myself, I realized that I had become somewhat immune to the meaning of the verse because of my ability to mindlessly quote it. Thus, I decided to take another look at John 3:16. And wow. I know the words of the verse, but the order of the words is amazing as well. It just occurred to me that it doesn’t say, “God loved the world so he gave.” No, rather it says, “For God so loved the world that he gave,” as though this was the very logical conclusion of a love as great as His. God didn’t give grudgingly, sitting on His throne, heaving a sigh, and saying, “Well, I love these people, so I guess I have to do something for them.” Neither did He feel beholden to us. It was very simply this: His love was so great that the natural outpouring of that love was to give us His most precious gift – His only Son. That alone ought to remind us just how profound the words of this verse truly are. As I looked again at John 3:16, it gave me a fresh view of the amazing love of God. More than that, God is love, and if we don’t take the time to understand that, how can we even say we know our God (1 John 4:18)? What Jesus did on the Cross was the most epic act of all time, and it was the epitome of love. His was a Love so powerful, so sweeping in its scope, that it overcame death itself. * All credit goes to The Princess Bride official website for the movie images used in this post. We often treat God’s grace as a very lofty subject. Indeed, it is lofty, for it pertains to our matchless and perfect God. 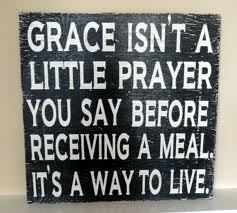 Yet it is something we must both understand and take hold of in order to truly live out grace-filled lives. The first part of God’s grace that most people embrace is His mercy – His not giving us what we deserve for our transgressions. But as we grow we need to learn to live our lives with a bigger view of God’s grace. In the parable of the prodigal son (it’s a fairly well-known one, so I won’t go into all the details, but you can check out the passage in Luke 15 to refresh your memory), the prodigal realized his mistake in trying to “do his own thing” and decided to return to his father and seek mercy. First of all, we can reject God’s grace by telling Him, “Lord, I am not worthy of this yet, but someday I shall be; I will do my very best to earn it!” This usually stems from a desire to please God (or rather, do what we think will be pleasing to God) and be “good enough” for the great things He offers us. The third main response we give to the grace of God is to simply say, “Thank you. You are so good to me, your child.” Sadly, this response often comes after we have already lived out one of the other two responses. However, this thankful acceptance is really the only response God wants us to give Him. He does not give so that we must repay Him (as though He needed something from us), but rather He gives to us for two reasons. Firstly, it reveals His goodness in our lives, and therefore brings Him glory. Secondly, He delights in giving us good things. He is, after all, our Father. All this is very good. However, in the story of the prodigal son, the father had not one son but two sons. The elder son can give us just as much to consider as his younger counterpart can. The elder son was not at all pleased with the grace lavished upon his little brother – it wasn’t fair! If his father had shown only mercy and simply put the prodigal brother into a position of utter humility as a slave or servant, the elder brother would not likely have raised a fuss. It was the fullness of the grace, of the wholly undeserved acceptance, that bothered him. The elder son was furious. After all, it was he, not his errant sibling, who had faithfully tended his father’s business. Why, then, should he not be the one receiving the honor? When he had voiced his complaint to his father, his father gently rebuked him, saying that he could have had anything he wanted had he simply asked for it. The reaction of the elder son should give us pause. He was, though a faithful son, clearly not living in the fullness of his father’s grace and, because of that, was unwilling that anyone else – especially his obviously undeserving brother – should live in it either. This “elder brother” reaction is something painfully common in the church, though we pretend it is not. We see others receiving God’s grace and we feel resentful. We stomp our feet and cross our arms (in spirit, of course) and say, “But God, what about me? !” (Can you hear that whining voice?) “When are you going to do something for me?” This mindset can only be uprooted when we learn to walk in God’s grace in every part of our lives. As brothers and sisters in Christ, then, let us embrace God’s grace – a grace we do not deserve but are surrounded with daily. Mercy is for the dying; grace is for the living. As we are brought from death to life, we must learn to live in the fullness of God’s grace. As much as we like to hold on to our humble and self-sacrificing, do-without ways because they make us feel as though we are deserving of God’s love, God wants us to remember that His grace is our gift. After all, a gift left unopened can’t be of much pleasure or use, can it? I for one refuse to put my Gift on a shelf and let it collect dust; I’m tearing the package wide open. If a life overflowing with the grace of my King is scandalous, then may I live to be the most scandalously grace-full woman of all time.